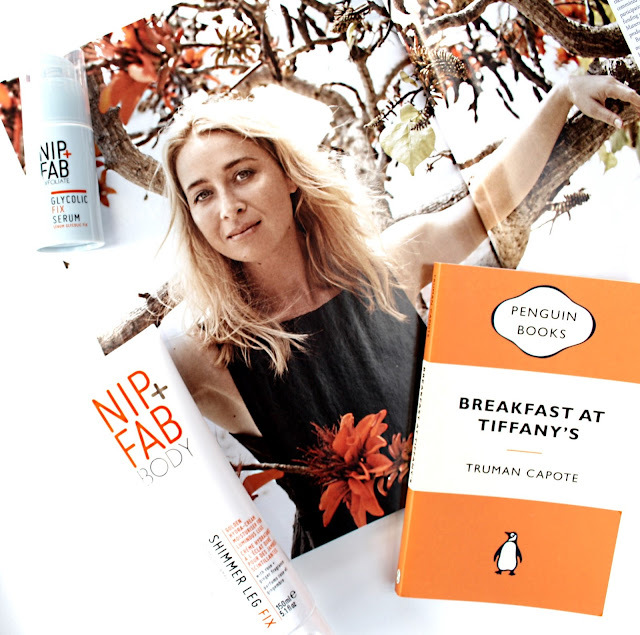 Nip + Fab are such a raved about brand, but I have to admit that I hadn't tried their products until recently. I am here today to share with you a couple of products I am absolutely loving from their range. I was sent the Glycolic Fix Face Serum and the Shimmer Leg Fix to test out and review. I am such a huge fan of glycolic acid. It smoothes skin, improves the appearance of scarring, unclogs skin to prevent acne and smoothes fine lines and wrinkles. 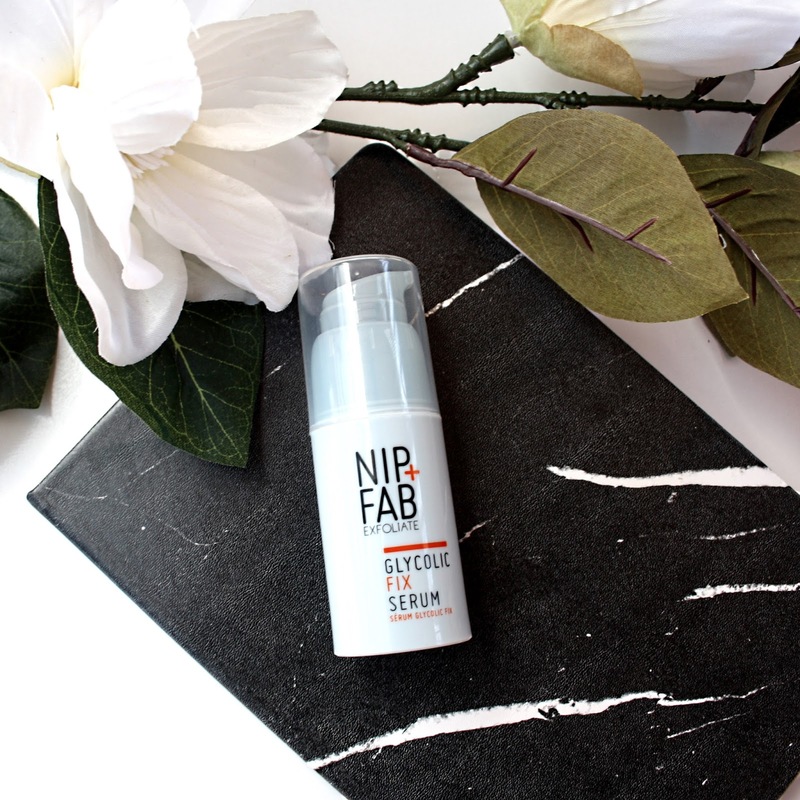 This serum contains 4% glycolic acid and was designed to retexture the skin and minimise the appearance of fine lines and wrinkles, which I have noticed with my skin (yay! ), however I wanted to share what else this wonder serum is great for! This serum is absolutely one of the best serums in my opinion for acne-prone skin. The glycolic acid will help unclog pores and congested skin, leading to less future breakouts, while also minimising hyperpigmentation from old acne. Win, win! This serum also contains Nip and Fab's exclusive ingredient called Poreaway, which minimises the appearance of pores, while aloe vera soothes and calms. This serum has a pleasant citrus scent and light gel texture, and can applied to skin after cleansing and prior to moisturising. Ingredients: Aqua (Water), Glycerin, Glycolic Acid, Ammonium Acryloyldimethyltaurate/VP Copolymer, Propylene Glycol, Sodium Hydroxide, PEG-40 Hydrogenated Castor Oil, Phenoxyethanol, Benzyl Alcohol, Alcohol, Limonene, Parfum (Fragrance), Ethylhexylglycerin, Disodium EDTA, Benzyl Benzoate, Pistacia Lentiscus (Mastic) Gum, Lecithin, Dehydroacetic Acid, Geraniol, Butylphenyl Methylpropional, Citral, Linalool, Aloe Barbadensis (Aloe Vera) Leaf Extract. 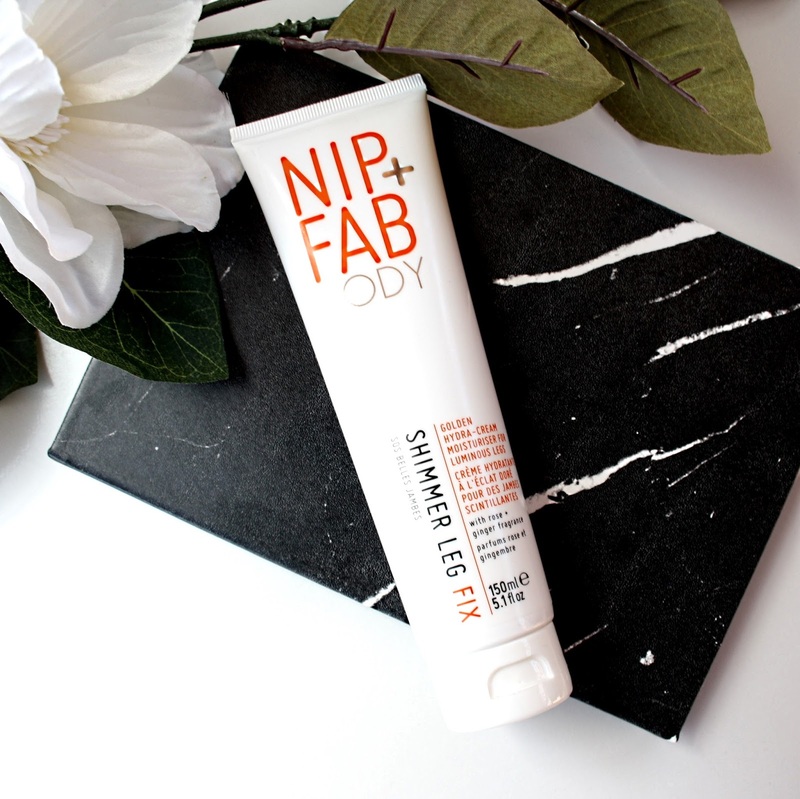 This hydrating moisturiser contains mica to provide a subtle golden shimmer to the skin when in the light. This shimmer draws attention away from any imperfections such as blotchiness or spider veins and gives the appearance of luminous, flawless skin. This moisturiser has such a unique scent; rose and ginger, which I love. This would be great popped over the top of a fake tan, to give a radiant glow, or to natural skin to create a healthy sheen. This shimmer this provides is very natural and subtle, and doesn't create that cheap chunky glitter look (although, in my opinion, I can't get enough glitter!) This is the perfect summer party product. Ingredients: Aqua (Water/Eau), Glycerin, Butylene Glycol, Carbomer, Triethanolamine, Benzyl Alcohol, Allantoin, PEG-7 Glyceryl Cocoate, Phenoxyethanol, CI 77019 (Mica), Glyceryl Stearate SE, Cetearyl Alcohol, Parfum (Fragrance), Disodium EDTA, Limonene, Dehydroacetic Acid, Stearic Acid, Cocos Nucifera (Coconut) Oil, Silica, Xylitylglucoside, Isoceteth-20, Ethylhexylglycerin, Anhydroxylitol, Linalool, Xylitol, Aloe Barbadensis Leaf Extract, Geraniol, Gardenia Tahitensis (Tiare Flower) Extract, Eugenol, CI 77891 (Titanium Dioxide), CI 77491 (Iron Oxides). 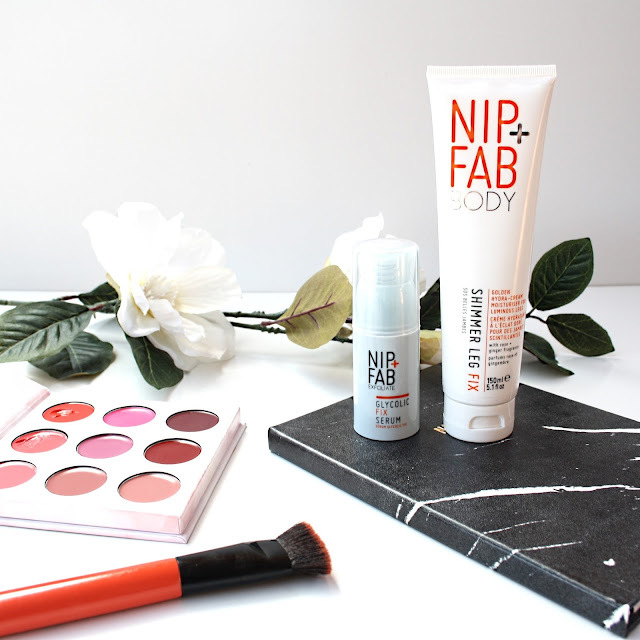 I loved testing out both of these Nip and Fab products and will have to try out more of the range! You can purchase Nip and Fab from their website, or from Priceline. *I was sent these products to test out and review.